Buy item for 3196 Nukes! Buy item for 3196 Nukes! 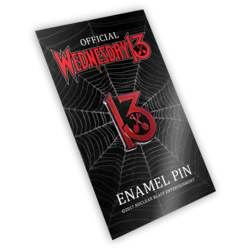 Limited Edition Wednesday 13 enamel pin! Includes autographed "Condolences" card!